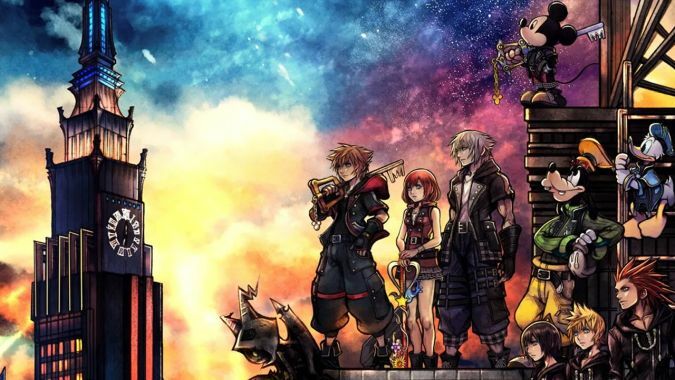 Today is the day, after literally more than a decade of waiting, Kingdom Hearts 3 comes out. I’m sure plenty of folks have already played through the game in some capacity. I have not, and I’m doing my best to avoid spoilers until I can (which…hopefully won’t be too long from now). With that said, if you must talk about the game (though I encourage you to give it a bit of time), please tag your spoilers. With that out of the way, Let’s Queue. Q4TQ: I haven’t really kept up with the details of what the Alliance is doing (war campaign and stuff). Is Anduin actually doing something or is he leaving everything to the other Alliance NPCs like in Legion? Anduin isn’t featured prominently in much — and the same can be said about Sylvanas, don’t forget — but that doesn’t mean he’s not doing anything. A King’s job is not necessarily to be on the front lines, talking one-on-one with other leaders. He’s directing forces, coordinating his commanders, and making calls he thinks will be best for the Alliance. The ones you see — again, much like Nathanos, Baine, Rexxar, Rokhan, etc. — are the ones carrying out those calls. Is he making the right calls? Are all the Alliance leaders happy with what he’s doing? I think we’ll find out more in the coming patches in that regard. But I do think Blizz’s decision to (so far) keep him and Sylvanas out of the forefront is a smart one. It gives the times they do appear meaning, and it keeps us from burning out on this being a “Sylvanas vs. Anduin” expansion. Second of all, Garrosh wouldn’t stand a chance against Sylvanas. Yes, he’s a fighter and a military strategist, but he’s also much more about brute force. Sylvanas is cunning. She would have at least three backup plans in place for how to beat Garrosh, where he’d likely go in assuming she posed less of a threat than she actually did. Admittedly, Sylvanas with a giant axe and Garrosh with a tiny dagger both are amusing mental images. I’m not sure either would enjoy wielding those. ARTHONOS HAS A QUESTION ABOUT BOTH SHADOW AND FUTURE EXPANSIONS! Q4tQ: I know it is a bit early to start talking about 9.0, but with the recent Q&A this has been on my mind. Ion said that Blizzard won’t do any major spec reworks during an expansion, in response to the question about Shadow and Shaman not getting major changes in the 8.1 patch. Blizzard’s logic is they don’t want players to have to relearn a spec twice in the same expansion, and I can agree there would be confusing if you took a break in 8.1 and found your spec wildly different in 8.2. That said, do you feel like they have now painted themselves into a corner, and are now obligated to put out something stellar for a Shadow Priests / Shaman rework next expansion? I don’t think Blizzard is ever “obligated” to do something unless they’ve put out a massive press release, with complete assets and a release date that says, “THIS THING IS COMING ON THIS DAY!” And even then, it’s game development. Things happen and stuff gets cancelled. Now, specifically in regards to Shadow Priests and Shaman? Still no. I think there will be backlash if they don’t do something stellar… but I don’t think they’re obligated to do anything with those specs beyond make them workable and competitive. Plus, if they throw a ton of massive changes at them just for the sake of making players happy, the end result could be worse. They need to be calculated with any potential reworks. Please don’t take this to mean I don’t want overhauls and reworks! But objectively, Blizzard doesn’t owe players more than specs that “work” as much as other specs do, with a small margin of variance. Q4TQ: What is / would be considered as an acceptable interracial relationship in a fantasy setting like WoW? We have had quite a few Elf / Human pairing and at least one Orc / Human but is there some lines that Blizzard or the writers would never cross? Tauren-Human? Forsaken-Human? Gnome-Blood Elf? Anyhow, my hot take is that it’s a fantasy setting, and that any combination is fine — nay, encouraged — especially if there’s a good story behind it. Now, does Blizzard feel that way? Would they “never cross” certain lines? In the past, I would have said yes. But I think they’re maturing in how they tell stories (thanks in no small part to Christie Golden), and if the story found a way to bring two characters together, then good job, story! Q4TQ: What do you think the chances of Bliz fully cleaning up the Vale of Eternal Blossoms? And then adding a Bronze Drake NPC so we can flip to the other 2 iterations of the Vale. The very first one and then the destroyed version we have right now? Blizzard has a pretty solid history of not revisiting old expansions outside of a quick jaunt here or this, with most of the changes in wherever you are coming in the form of small, surface-level updates. Now, you’d expect the situation in the Vale to be an easy fix — Bronze Dragons appear in other zones. A version of the “good” Vale exists at least partially in Gate of the Setting Sun. Why not mix the two? I don’t know. But I mentioned Blizz’s history of not revisiting old content because that seems to be the only solid indicator of any answer as to why we won’t see it fixed. We haven’t seen it fixed now, and I doubt we’ll see it fixed ever, unless Blizzard has a very real reason to take us back there and the story demands it. Part of the questing issue re: Horde vs. Alliance is that the Horde questlines are, almost 100%, one solid storyline. You have side-quests, yes, but you can skip those and complete the main Horde storyline without diversion. On the Alliance side, only about 60% of the main storyline questline are…well, about the main storyline. There’s a good 40% that are side quests about the region. There’s also the fact that, as a result of this there are side-quests that MUST be complete in order to continue the main story questlines–something that, for the most part, can be skipped on the Horde. I’m not saying either is worse than the other. In terms of empirical data, on Horde I completed the storyline (including the invasion of Zuldazar by the Blood Trolls) before 120 and needed dungeons to hit cap. For Alliance, doing the main storyline took me to 120 directly because of all the required side-quests. I understand what you mean here, but I’m waiting to reserve final judgment on this sort of thing until after the expansion ends. Stormsong’s side quests may very well be what help set us up for future Old God storylines and shenanigans. Meanwhile, Drustvar’s quests and all the stuff with Gorak Tul may help set up stories that tie into the Shadowlands and whatever comes with that. What I’m saying is, the Horde side of things may be us romping through the trees, Tarzan-style, while the Alliance side of things may be closer to planting the seeds so that we may one day romp through the trees of a different expansion. Or maybe not. Like I said, I’m reserving judgment. Q4tQ: Do you plan on visiting the first wing of LFR this week, or are you gonna wait until more people know what they’re doing? Honestly, it all comes down to how much time I have. I would really like to run it — crazy as that may sound — because I haven’t really been raiding much, and I’ve heard great things about Dazar’alor. But I may not have the time until this weekend, and at that point, I may feel like relaxing. If I don’t run it, it certainly won’t be because I wanted to wait or anything. Q4tQ: Do you think if we get Tinkers and they get a Melee spec, they’ll be able to wield glaives? I’m imagining them as spinning blades at the end of their arms. Huh, I hadn’t considered that. It would give glaives more meaning than an occasional weapon for Demon Hunters… but I don’t know if I can see them wielding glaives. Mind you, this is all speculation, but I’m imagining them being the smaller races — Gnomes, Goblins, probably Vulpera — and I don’t know if you can show off glaives well enough on those. If anything, I think those fist weapons with the spinny bits (you know the ones) would work better for what you’re describing. Then again, maybe they’ll have an entirely new armor/weapon system. They don’t exactly seem poised to use weapons in any real capacity, do they? That’s it for today! Have a good one and remember to treat each other kindly.